It must be galling to be covered in these! Sorry for the schoolboy pun but they do not look very attractive do they?! 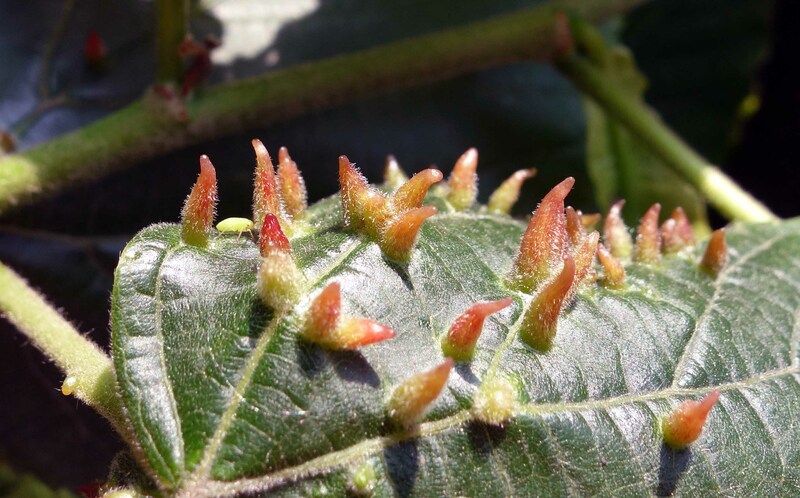 These so-called nail galls are caused by a very tiny mite in the Family Eriophyidae. 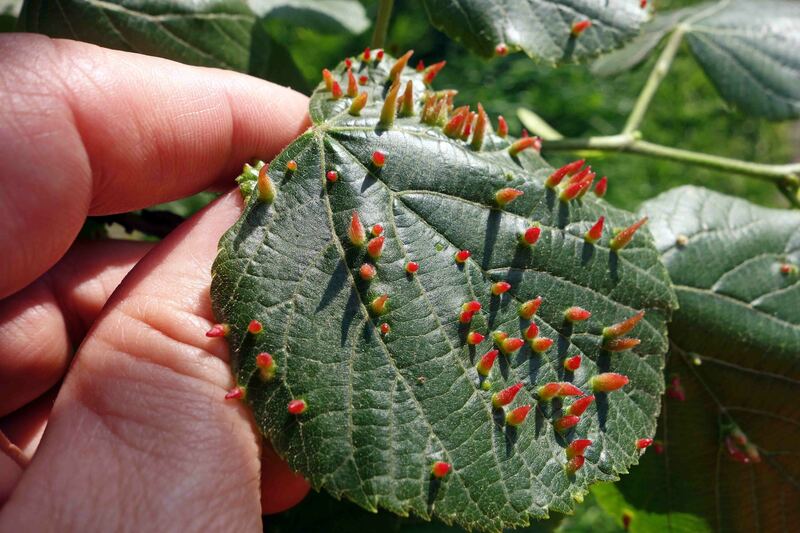 Eriophyid mites are only about 0.2 mm long and up to 200 of them can be living and feeding in one of these galls. They are so small that they can feed on a single plant epidermal cell for hours or even days (1). Eriophyes tilae is the species which causes these nail galls on lime trees (Tilia sp.) but there are a number of different subspecies which are difficult to tell apart. The galls are themselves are induced by a chemical reaction caused by the feeding of the mites, and they provide both a source of food and protection for the mites. When I looked closely at one of these photographs, after I had taken it and opened it on the computer, I noticed that there was a tiny yellow-green bug (perhaps a plant-hopper nymph) lurking amongst the base of the nail galls (see below). This little insect is however, much bigger than an eriophyid (or eriophioid as some people say!) mite! Eriophyes tiliae gall with planthopper (?) nymph. Ray Cannon's nature notes A galling mite!